At the CES show last January, VIZIO pleasantly surprised many of the TV journalists when they announced that almost all of their 2014 lineup of LCD HDTVs would employ full array backlighting with local dimming. 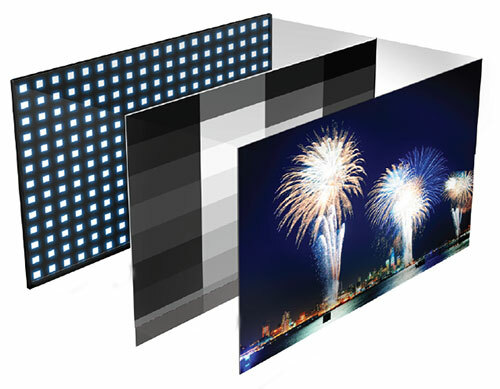 Without straying too far into geek-speak, this system of lighting an LCD TV is considered superior to edge lighting (which is the more common method) because it produces better picture quality (more light uniformity and more accurate dimming). Indeed, VIZIO has distributed 32 Active LED Zones behind their M602i-B3's 60-inch display, which allows for true 2D local dimming (vertical and horizontal), providing deeper, spot-on blacks, the foundation of an excellent picture. Of course, all this whiz-bang technology cannot guarantee a good TV, but with their M602i-B3, VIZIO delivers a high performance product at an attractive price. To reach that $1200-ish price point for a 60-inch Smart TV, VIZIO does not include certain features on the M602i-B3. None of the 2014 M-Series are 3D TVs and they do not provide either voice or motion controls. And as far as I'm concerned, the TVs are better off without those features. In fact, after considering the combination of features, price, screen size and remarkable picture quality, the VIZIO M602i-B3 earns our Highly Recommended recognition. (Editor's Note: VIZIO plans on releasing eight sizes of their 2014 full-array backlit M-Series, starting with the 32-inch M322I-B1 [$329] all the way up to their 70-inch M702i-B3 [not yet available]. In between are the 42, 49, 50, 55, 60, 65-inch models, M422I-B1, M492i-B2, M502i-B1, M552i-B2, M602i-B3, and M652i-B2. Once I adjusted the VIZIO M602I-B3's to my tastes, the video performance was impressive. The full-array backlighting with local dimming produces an excellent picture. I was pleased with the quality of the 10W integrated speakers, but you will be happier by pairing this 60-inch display with a more robust sound system. 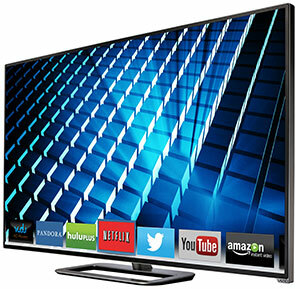 With built-in Wi-Fi and over 100 content providers, this VIZIO Smart TV furnishes the essentials. It does not include voice recognition nor motion control, but the QWERTY keyboard on the two-sided remote makes search entries easier. The M602I-B3 is not 3D capable. Set up is a snap. The two Calibrated Picture Modes make picture adjustment easy. And the double-sided remote is handy. I considered giving this M-Series TV a 5 Star rating, but VIZIO is currently selling their 2014 60-inch E Series E600I-B3 (with full-array backlighting and 16 zones) for $849. If it performs even close to this M Series M602I-B3, then it would rate 5 Stars. With that said, this M Series 60-inch beauty is definitely a good value. I own the M-422i and am quite pleased with the picture. I actually returned a Samsung HU6950 I was comparing it to because the 40HU6950 did not have the refresh rate of Vizio (only 60 Hz) which I believe cramped it's ability on motion blur control. I was only interested in a 40"-42" screen for a particular room. Even though the Samsung was a UHDTV I could not get acceptable motion blur reduction. The Vizio beat it hands down but it's not perfect. I have a Samsung DLP which I love but am thinking of stepping into todays TV's and getting around a 55"-60" flat screen. I'm very fussy about picture clarity and especially eliminating motion blur. I know true high refresh rate (120Hz-240Hz) has a lot to do with it but that is a game the TV manufacturers are playing and is hard to get honest answers from their tech support people. Which set out there can do it the best? Is plasma the best way to go or flat screen? For the short answer, if you want an immersive viewing experience, then pull your chair up to about 6 feet away from the TV. If that seems too close, then move back a little. But anything farther than about 10 feet and your eyes won't be able to see a difference in detail compared to a lower resolution TV. on Model 50" M502l-B1 what is the minimum and maximum to sit for this size TV? i have a 50 inch rear projection tv looking for a 55 or 60 inch hd tv i think i found it. i like the m series but looking into to e series its a tough decision but it will be vizio.